The event’s refreshed format is much more than the changed graphics, logo and expo date. The B2C expo in Kielce will be complemented with the cosmetics industry meeting. 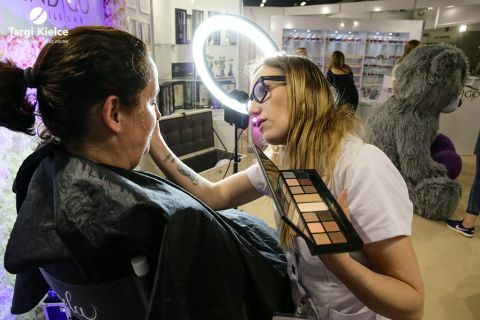 The 4th International Health and Beauty Expo is held from November 30 to December 1, 2019 in the Kielce exhibition and congress centre. The cosmetics market - an extremely interesting and multi-faceted topic. This business sector is is still an unsaturated, open market. The beauty and personal care market has been dynamically developing. It has also been the subject of fast and extensive changes. The two-day Health & Beauty Expo combines the Business to Customer and Business to Business format. The expo guests have the chance to meet the skin and nail care specialists as well as many other business-insiders. There will also be ample of well-being and health professionals. The format change and refreshment has been a response to the market needs. According to the Forbes magazine, the Polish cosmetics industry is worth almost PLN 17 billion. The industry keeps growing - in the next five years it will shoot up to the worth of 20 billion PLN. In terms of the cosmetics markets size, Poland is ranked sixth in the world. No only does it generate an avid market interest, but also stimulates business dreams. It is worth starting the spring in Targi Kielce and focus on of health and beauty!